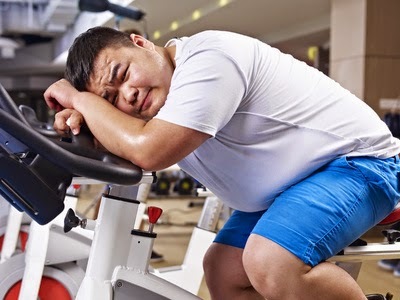 You're diligently working out at the gym every day, but you're still not seeing the results you want. This happens more often than not. Here are 4 tips to help you get a better workout. Most of us tend to do the same things over and over at the gym. If you're running on the treadmill every day, not only does it get boring, but you're not challenging yourself. Next time, try lifting weights or taking a yoga class. This will use different muscles and hopefully turn you on to a different activity you'll actually enjoy. 2. Get Of Your Phone! As much as we don't want to admit it, your phone can be a big distraction when you're trying to work out. If you listen to music, set-up your playlist before you hit the gym. Otherwise, leave it in the car. Your blogs, forums and social media will still be there when you're finished. When you're lifting weights, it's essential that you can control the weight for the entire movement. If it's too heavy and you're swinging your body to help, you won't actually be working the muscle. Try lowering the weight or asking for some assistance to get the right form. Unfortunately, working out is only part of a healthy lifestyle. You also have to eat right in order to get results. That doesn't mean you can never eat a cheeseburger again; it means you can't just work out to compensate for eating unhealthy every day. For more workout tips, follow us on Facebook and Twitter (@TexasOrthopedic).